Chris has been in practice since 2002, primarily in the areas of small government representation and civil and criminal litigation. Chris also has represented many employees facing disciplinary proceedings and presenting wrongful termination claims. Additionally, Chris is a renowned animal law practitioner, and has chaired and lectured extensively on the subject, to both attorneys and non-attorneys. Chris has also served as an adjunct assistant professor at the University of Arizona James E. Rogers College of Law, teaching an animal law course to law students. Prior to starting his own firm, Chris worked as an associate attorney at one of Tucson's premier firms representing municipal corporations and special taxing districts. Chris received a juris doctorate degree from the University of Arizona, a bachelor of arts degree from Thomas Edison State College, an associate of applied science degree from the Community College of the Air Force, and a diploma from the Defense Language Institute. Before going to law school, Chris served in the United States Air Force for more than seven years. Chris is admitted to all Pennsylvania state courts and all Arizona state and federal courts. He has litigated cases before every level of the Arizona courts, including the Superior Court, the Court of Appeals, and the Supreme Court. 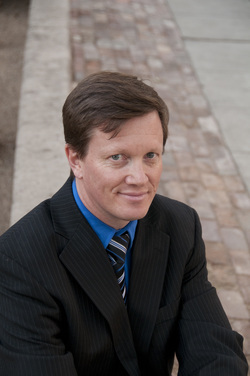 Chris also has litigated cases in the United States District Court for the District of Arizona and the United States Court of Appeals for the Ninth Circuit.